We thought it would be best to finish what we've been working on LDH since the last patch. So the stuff we started working on isn't wasted. What the next and most likely last version of LDH will include is mainly music and SFX, and probably some other things. Since some voice acting recordings are still missing, it's very unlikely that this patch will be released this month. Hopefully we're able to wrap things up next month though. 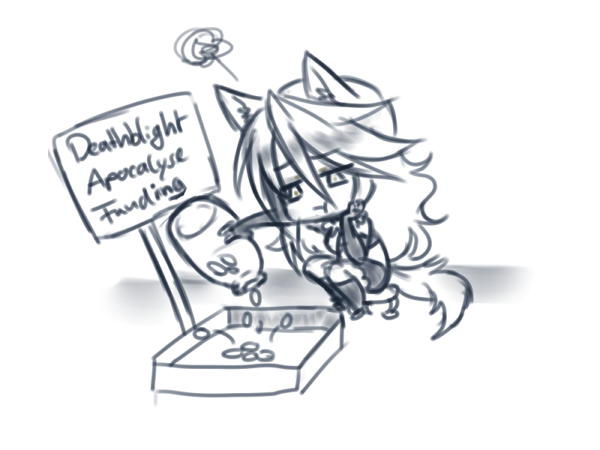 Other than that, we'll be working on Deathblight Apocalypse as soon as possible! In case you wonder why we hadn't worked on this earlier, this is because DA is a lot more work than LDH. As all the ingame graphics are animated, and the CG scenes are fully lined and coloured. With only 1-2 days per month (1-2 days were we don't need to work on commissions or the webcomic), we wouldn't have been able to produce results in satisfying intervals. By that I mean, it was easy to make a bunch of sketches for LDH in only 1-2 days per month, thus being able to release a new version each month so far. I'll be honest with you, this means DA will only get a new patch every 2-4 months. Of course if support via Patreon continues to rise, we will be able to put more time into DA and thus release patches more often. Currently we're also thinking about other ways to "solve" this situation, as we don't think that an increase in Patreon support is a given. And yes, we're aware that there is no way to quickly "solve" this. But we're thinking in long-term solutions here. We already have some ideas, but nothing is really decided yet. 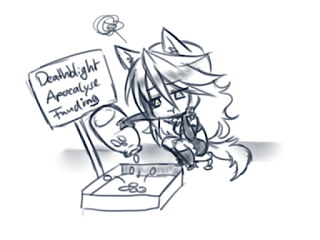 Progress will be very slow on DA, unless we rack up a lot of financial support. But we'll put as much time and effort into it as we can afford to. And of course, we're doing our best to fulfill what we promise our supporters.